Less than a quarter of state-run accommodation for asylum seekers in the UK is compliant with standards, a much-delayed report has found. 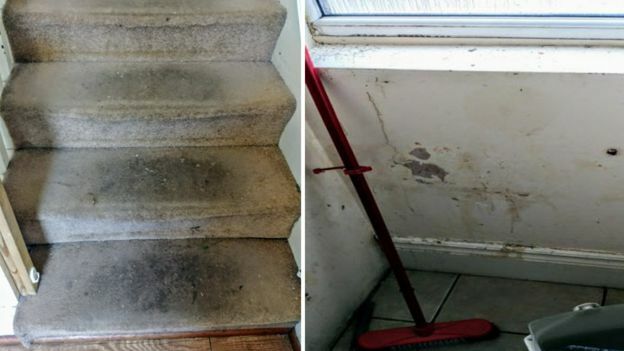 The Chief Inspector of Borders and Immigration cited evidence of damp, dirty and vermin-infested properties. Some of the accommodation was found to be unsuitable for vulnerable groups, including survivors of torture or domestic violence. The Home Office said it was "committed to improving" the service. Chief inspector David Bolt, who sent his report to ministers four months ago, also criticised the government for failing to have a "grip" on the number of pregnant asylum seekers or those who had just given birth. Doesn't "asylum seeker" just mean "someone from outside Europe who doesn't want to work" these days? Hard to have any sympathy for them when they are robbing me. There are a lot of bogus asylum seekers. I know someone who recently got asylum from Colombia, when I said "How awful, what danger were you in?" He told me, "that he was not in any danger". The easiest way to stop this would be to make clear that if people go back home on holiday they lose their asylum status and are prosecuted. The most famous recent case was the sydanese "refugee", who when he became a British citizen wanted to go back home on holiday and accidentally hit several cyclists with his car, whilst driving in London. We can’t save the world by moving it’s population to Europe, all we have achieved is to drag Europe back to the dark ages.. The problems must be fixed at source.. I am not sure that we are able to fix the problems at source. Also even if we could fix Colombia (for example) coming here,lying and getting free housing would still be attractive. Giving less attractive housing would help instead of London a remote Scottish Island that wants more people. The easiest way to stop this would be to make clear that if people go back home on holiday they lose their asylum status and are prosecuted. One would presume that the accommodation over here must be a dam sight better from where they are fleeing. Notice it is this country, the home office saying it is not good enough, not the asylum seekers. How do we know that these people who may not be used to western housing are not making the housing worse, or encouraging vermin by being untidy. This type of mentality that we must do as much as possible for any one who wants to come here is the problem and is just perpetuating the problem. If the stocks that bad, lets not take any more, clearly we are unable to help no matter how much we want to. 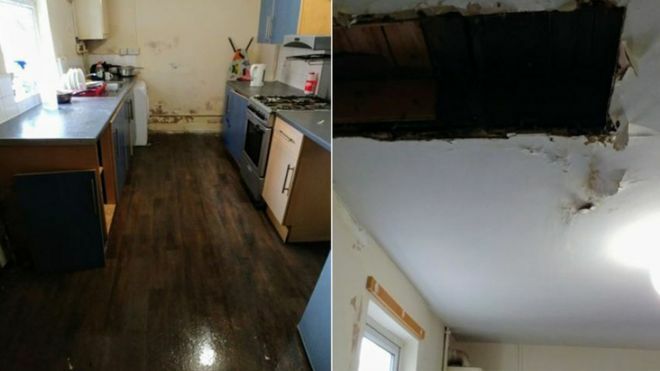 Damp - unless it's caused by something leaking really isn't anywhere as much of a big deal as people make out. Dirty - bloody well clean it then. Going in to somewhere dirty shouldn't happen but you've only go yourself to blame if it stays dirty. Vermin - depends exactly what the problem is but usually not too hard to deal with by yourself (although I never did manage to stop slugs coming in where I used to live). You have to ask why is it damp? How do they dry their clothes? Can they not dry them outside? (I know people who use a clothes line almost 12 months of the year etc). Damp can be controlled by changing how you do things. My solution to the current asylum would be be teat it on a country by country case i.e. 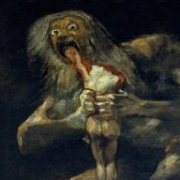 decide if people should be seekign asylum from it. The only coutrny that appleis to, in regard to Europe as whole, has been Syria. Asylu mseekers should be seeking refuge in their nearest country. The only valid asylum seekers the UK sshould be reciving should be from France or the Nether lands or Norway. Anyhow, assuming hat a country's citizens do require asylum then the UK should freeeze all that countries assets i nthe UK and issue arrrest arants for the countries leaders. Depends on what the vermin is? Rats are so common in the UK now, everyone is closer to a rat than they might imagine. They are encouraged by the abandonment of weekly refuse collection, and food scraps lying around in open recycling bins and stuff left near restaurants and fast food joints. Lice, bedbugs etc are becoming more resistant to insecticides, and love centrally heated housing. There is a possibility the immigrants bring the problem with them. Slugs I suspect mainly hitch a ride on pets. Damp is usually an issue of lack of ventilation. If you move to the UK from a hot country, you are not going to keep windows open during the winter. If they are pickig and choosing then they are not asylum seekers. I think that they should lose their right to any housing. I think they need to lose their citizenship, which should never have been granted. They should be seeking it there but I don't think it's unreasonable for other countries to then take some of the genuine ones rather than have those nearest have to house all of them purely because of geography. That's the sort of issue that an organisation like the EU should be good dealing with (pity it turned out to be the exact opposite). Shouldn't have been granted is one thing but IMO once you're a British citizen you're a British citizen full stop, to be treated like any other, which includes not being able to remove that citizenship, unless there was something fraudulent about the application. True although it would be cheaper for us to pay Syria's (or Venezuela's) neighbours to take in people than take them here, as cost of living is so much higher here (also there are no interpreting costs for Syrians in Lebanon or Venezuelans in Colombia). True but if it is fraudulent like people going on holiday to the place they "escaped" from as soon as they get it, they should go to prison and then be kicked out. There shouldn't be any state run housing for asylum seekers. They should be held in camps under guard close to their point of entry until a decision can be made. Only the most basic of provision should be made for them in the camps. After all, they are fleeing death etc so should presumably be glad for anything. 100,000s of people live in those conditions in the UK. Welcome to modern Britain. Many of these 'asylum seekers' come over from France. What terror are they fleeing from in France I wonder? I would guess having to pay rent. Have you tried getting a decent cup of tea in France? Or a beer? There are a lot of bogus asylum seekers. I know someone who recently got asylum from Colombia, when I said "How awful, what danger were you in?" He told me, "that he was not in any danger". What is the criteria for getting asylum? Couldn't he be reported?